Samsung's 2019 unpack event is just few weeks away and at this year's event, the company will unveil the next generation Galaxy S series which will most likely be called the Galaxy S10, as well as the first generation of it's foldable smart device. 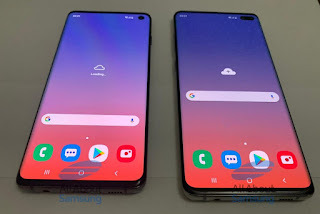 There have been lots of rumours and leaks on what to expect from the upcoming Samsung Galaxy S10 lineup and now live images of the Galaxy S10 devices have just been leaked online. The images shows Samsung adopting the infinity display with a much more smaller bezels than the predecessors. 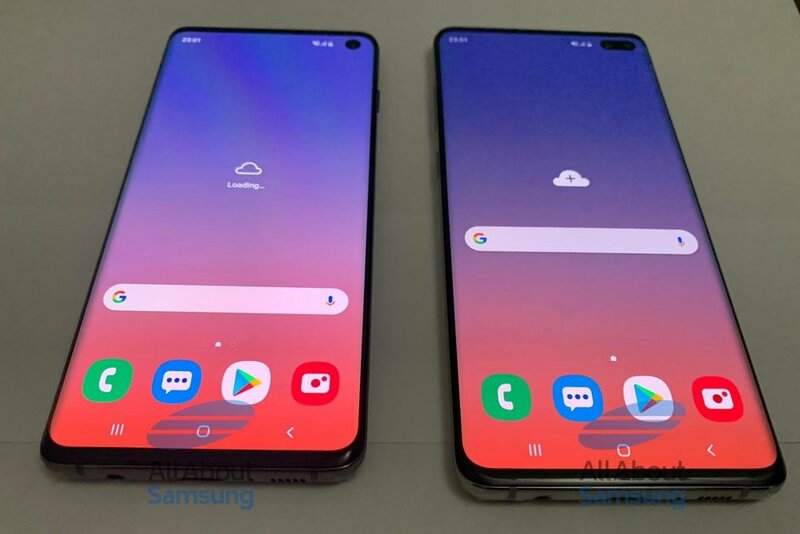 The regular Galaxy S10 features a round cutout for its single front-facing camera while the S10 plus has a much wider horizontal cutouts for its dual front facing camera. Both cutouts are positioned at the top right corner of the screen. 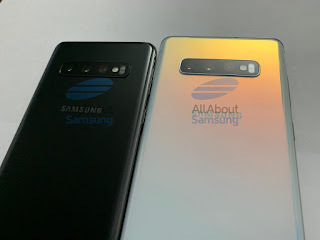 The images also shows triple rear camera setup on both the regular Galaxy S10 and the Galaxy S10 plus. The camera lenses are arranged horizontally as opposed the vertical lineup on the S9 series. There is however no information yet on the camera specifications as well as what the three lenses will be used for. There is no rear fingerprint scanner which further confirms the in-screen fingerprint reader. The phone is also keeping the headphone jack as well as the USB Type-C port. That's all the information we have for now, I guess we still have to wait for the unpack event which come up on February 20 for the full specifications.